Yeap it's Reborn! In my plans to make more walls from it! Made in Photoshop CS3.. time ~1 hour.. ~14 layers. Hope you like it! ^___^ EnJoY! The colors rock and the style is awesome. I just love looking at crisp and clean wallpapers, thanks for making it! I think cause your vector really great! yes !thank you for this !i love KHR ! Nice choice of colors, they complement tsuna well. Great idea, everything looks great! 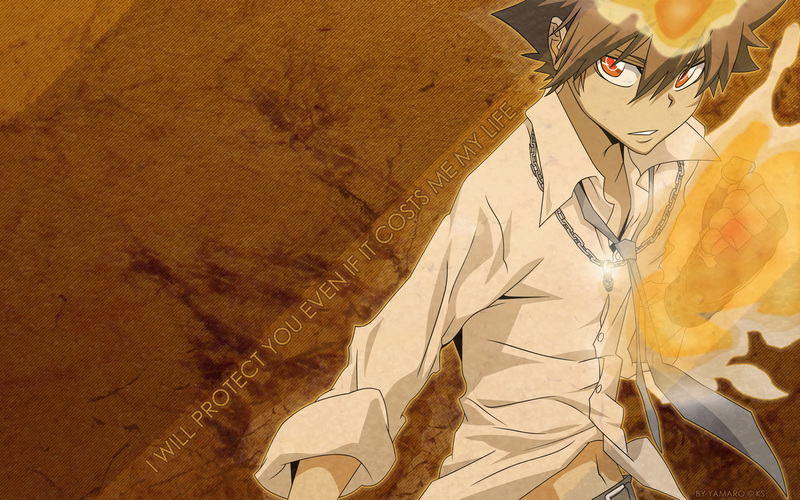 cool...i really love katekyo hitman reborn!